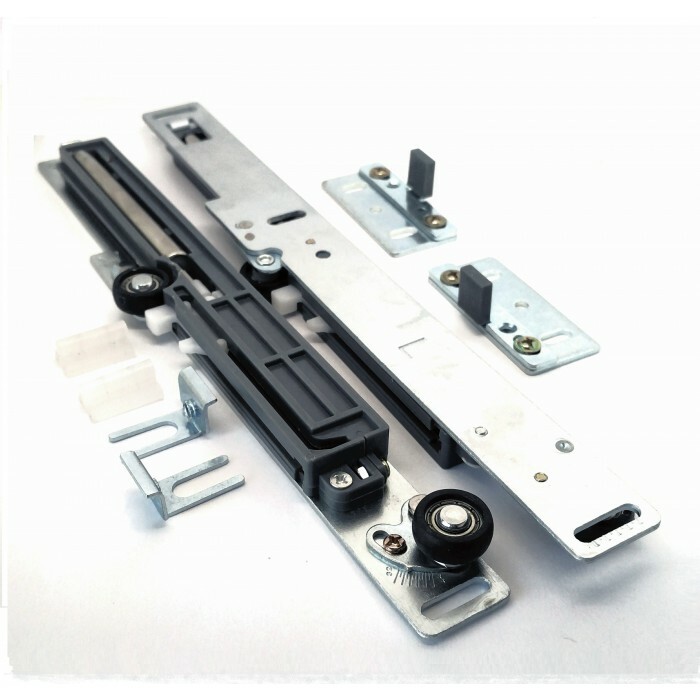 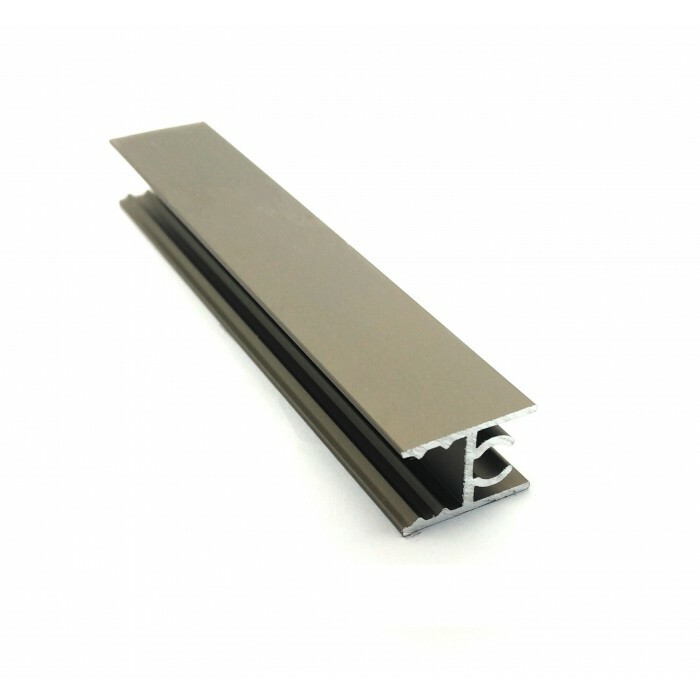 SOLAR I sliding door gear provides a complete solution for design and construction of sliding wardrobe doors and pass doors based on 8mm or 10mm thick laminate panel or 4mm or 6mm thick glass. 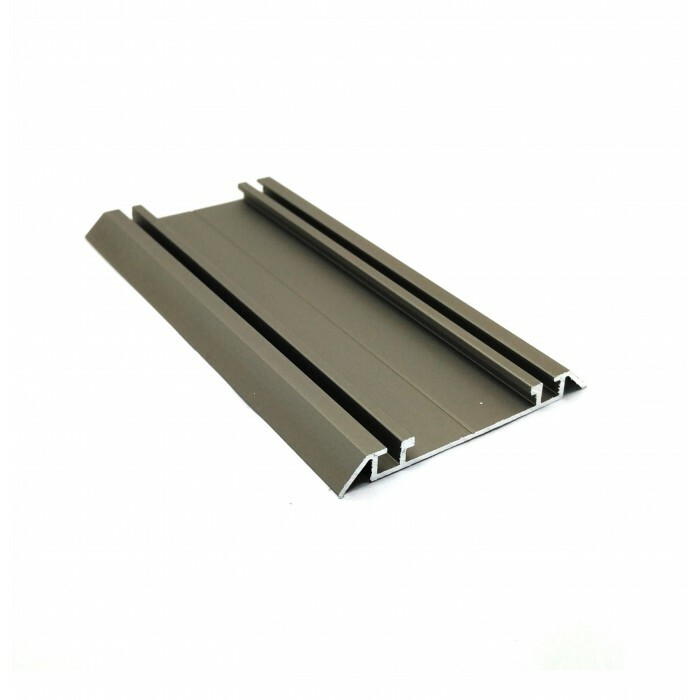 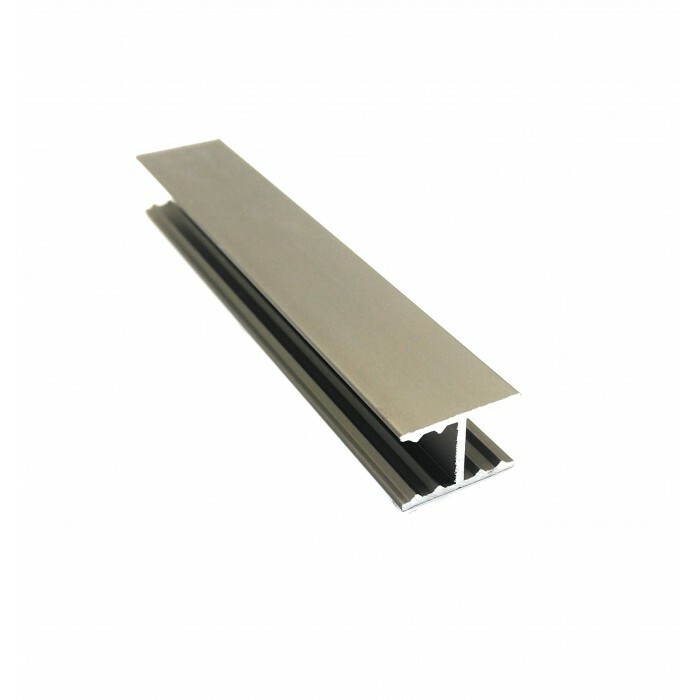 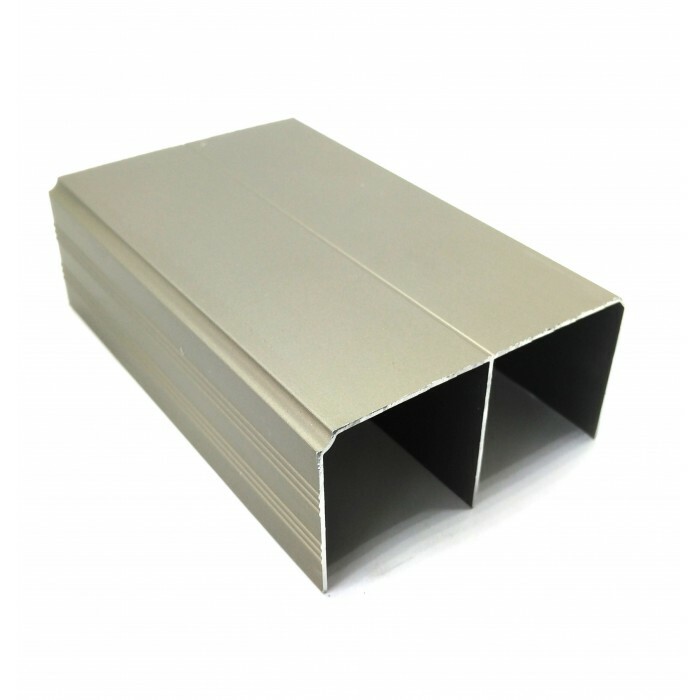 Solid and rigid profiles ensure high quality of the door.Maximum wing weight is 50 kg. 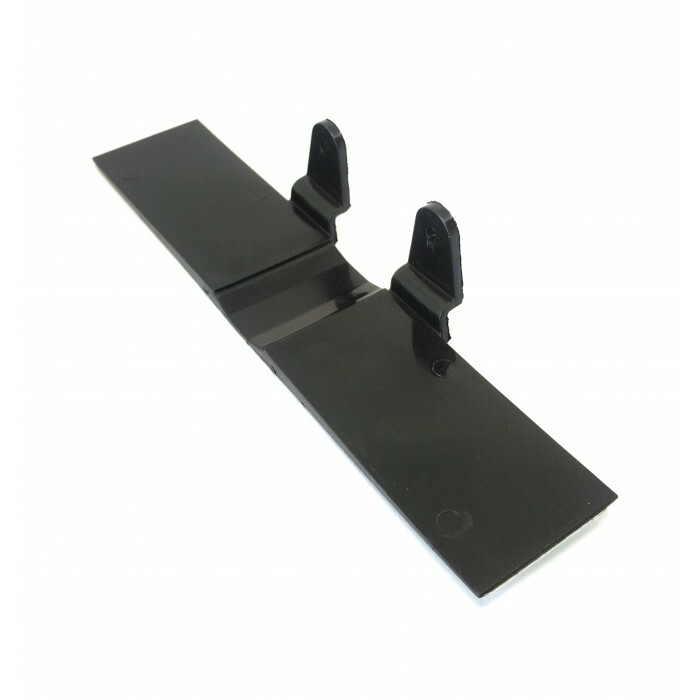 - Maximum wing weight is 50 kg. 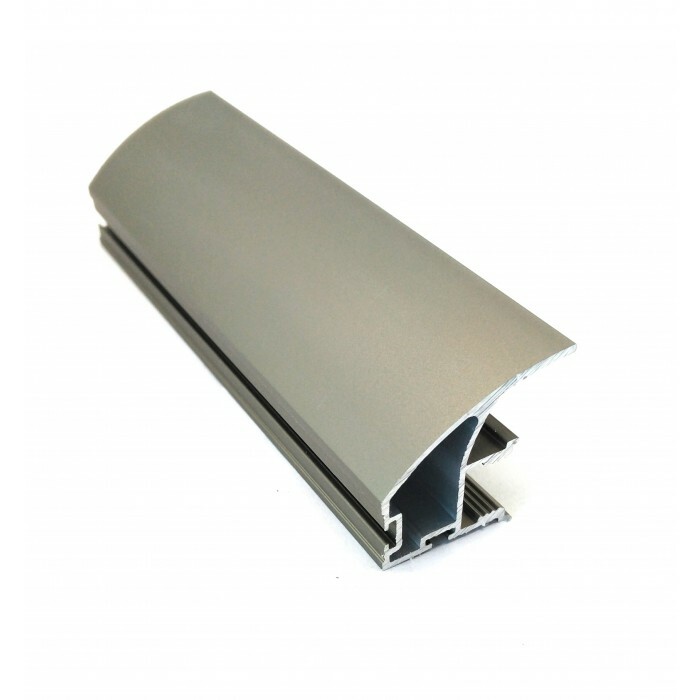 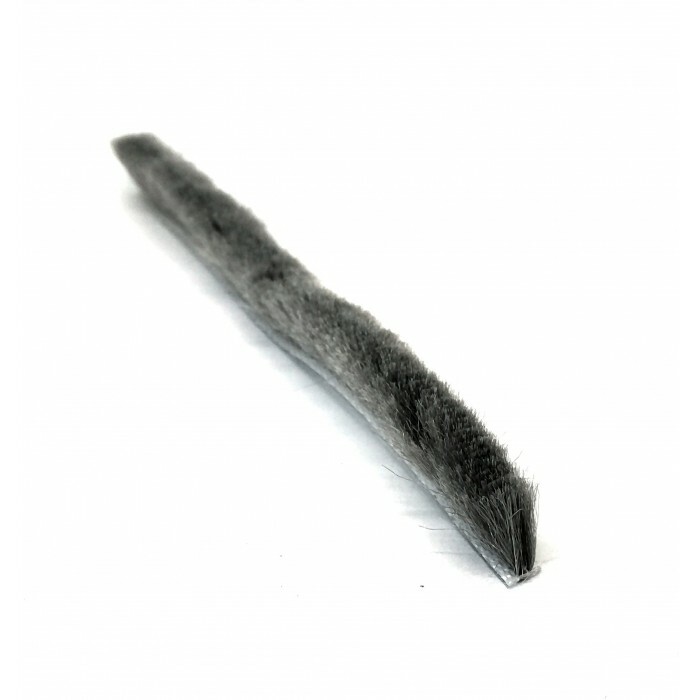 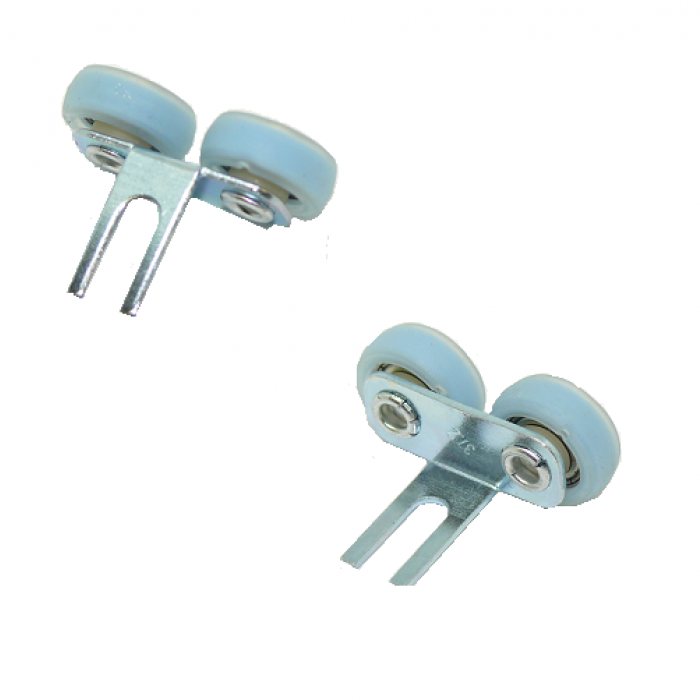 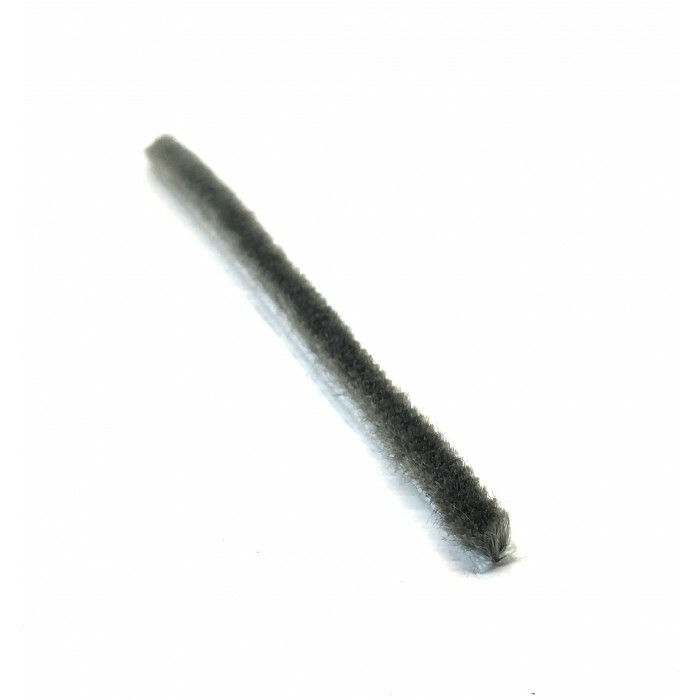 - for use with 4mm or 6mm thick glass and 8mm or 10mm thick laminate panel. 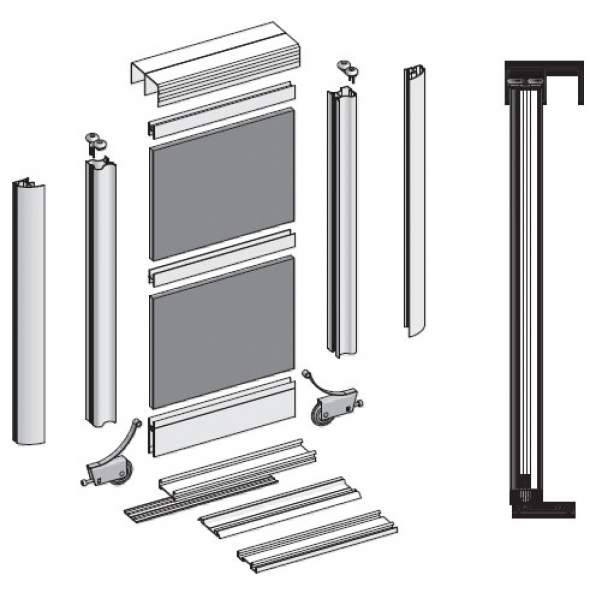 Please contact us for installation queries or download our guides here.